Makeup trends are fleeting, but a glowy complexion will always be en vogue—and chances are, highlighter is your secret weapon of choice for faking that ethereal, lit-from-within glow. Regardless of your skin tone, the perfect shade instantly boosts dull skin's radiance and accentuates your best features, making it easy to see why it's a makeup staple for pro artists far and wide. However, with the rise of holographic highlighters and high-pigment strobing flooding our Instagram feeds, it seems like we've forgotten what contouring's counterpart is really all about—including how to apply it. Whether it's misplacement or caking on one too many layers, makeup artists agree that proper application is essential for getting the most out of your product of choice. Remember, the key here is to make it look as believable as possible. So we chatted with a handful of pros to get their tips for using every kind of formula, their product picks and of course, a few highlighter hacks to make our lives even easier. Keep scrolling to get the lowdown on how to apply highlighter like a bona fide makeup artist. Before we talk all things application, it's important to understand the point of highlighter, and Make Up For Ever Director of Artistry and Education Lijha Stewart put it best: "The goal of using highlighter is to emphasise your features," she says. "Highlighter catches the light, adds dimension to your complexion and provides an overall glow to the skin." Celebrity makeup artist Dana Delaney says that it should be used as a means to play up certain features and provide dull skin with a gorgeous glow. "As a general rule, you can apply highlighter to the top of the cheekbones, bridge of the nose, Cupid's bow, chin, brow and inner corner of your eyes," adds Stewart. While techniques vary, all the makeup artists we spoke to agreed that less is more when it comes to highlighting and that different formulas yield different results. They even shared a few highlighter hacks to get the most from your product of choice. Makeup artists love a versatile product, and a cream highlighter is just that. A cream stick is compact, can be applied with a brush or fingers and of course, can be used for more than just highlighting (more on that later). "Cream highlights look so fresh and natural, blending seamlessly with your skin," says makeup artist Kali Kennedy. "The pearlescent, creamy texture of a product like Nars The Multiple in Copacabana (£29) not only gives the skin a gorgeous glow but also reflects and refracts light to give a luminous finish to the areas that the product has been applied to," adds Makeup Artist Natasha Severino. Her personal favourite is an iridescent cream formula. When it comes to applying a cream, Delaney assures us using our hands is a foolproof way to achieve a beautiful glow. "I enjoy using my hands and tapping a cream highlighter into the skin so it looks like its a part of the skin and not just laying on top," she explains. "You can really work with and move around creams, so I feel like they are easier to use." Kennedy—who says RMS Beauty Magic Luminizer (£36) is "the most iconic cream highlight I've used for the perfect glow"—adds, "Tap the product gently with two fingers above and below the brow, the high planes of the cheek and the bridge of the nose." Severino stresses the major key here: "Remember to pat your creams into your skin and not rub them in a side-to-side motion." Traditionally when we think of highlighter, a shimmery champagne-hued compact comes to mind, and rightfully so. 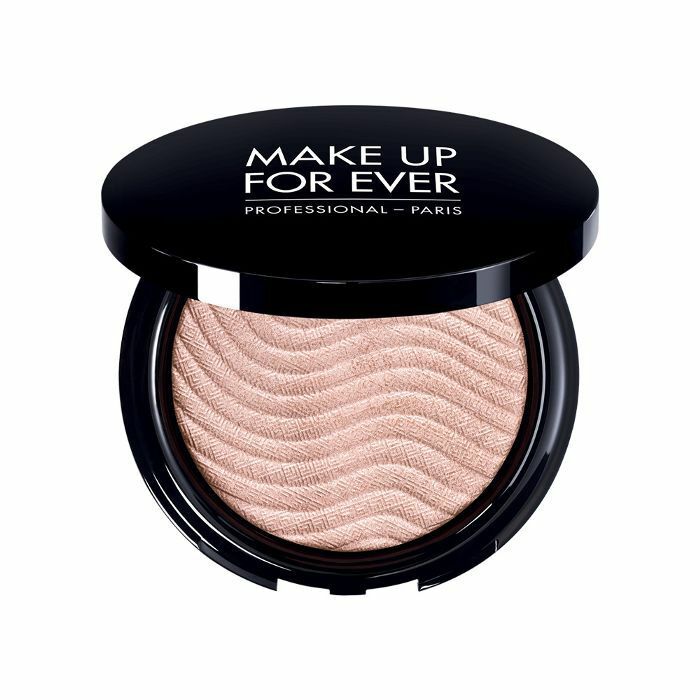 A powder highlighter is a universally flattering formula that can go on as sheer or opaque as you please. Stewart tells us that while powder is the best for achieving an "intense highlight," using the right application tools can yield various results. "Powders allow for buildable intensity. You can apply liberally or subtly for multiple effects," she says. "Use a firm brush for maximum intensity. For a delicate glow, use a fan brush." Stewart adds that while versatility with a powder is great, choosing the right formula can affect the outcome of your application. "Powders come in many different textures—be wary of formulas that are too shimmery or grainy, as they can look heavy over fine lines and skin texture. Choose formulas that feel silky and glide across the skin." She says a light hand is crucial: "When applying, use light pressure and blend with intention, focusing on the high planes of the face." 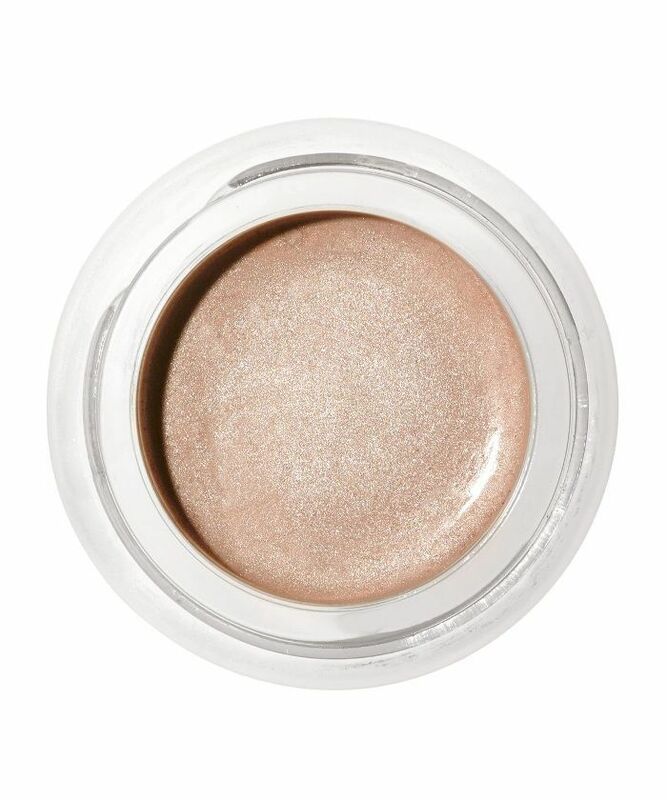 The pros who swear by a liquid highlighter agree that its texture gives skin a more natural look. "For a subtle glow, use liquid highlighters, as they will provide soft natural glow and it's easy everyday use," says Makeup Artist Azra Red. She recommends Smashbox Halo Highlighting Wand (£26) for an easy-to-use option that requires zero brushes or sponges. "This highlighter will illuminate and give you a dewy fresh-skin look that is super easy to apply as it comes with a built-in brush, so all you have to do is click and glow." 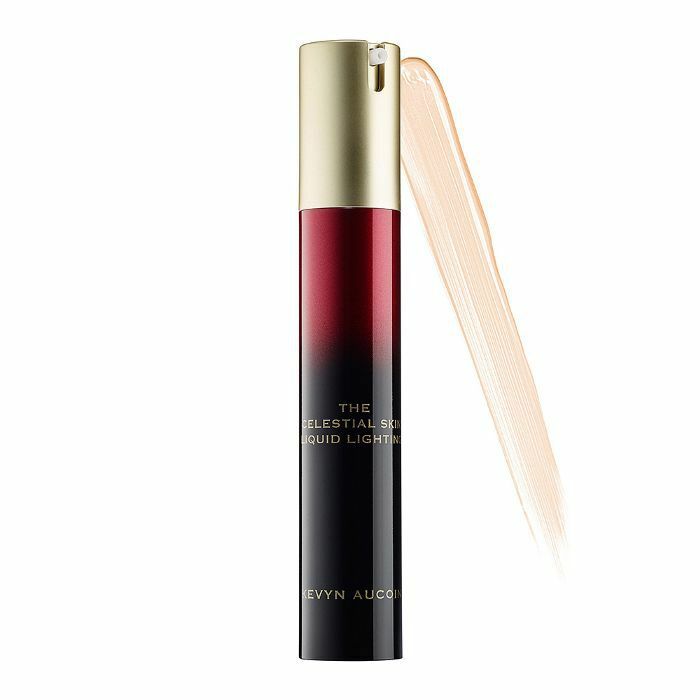 If you're looking for a more pigmented look, Makeup Artist Robert Greene says, "The Celestial Skin Liquid Lighting Highlighter from Kevyn Aucoin is a kit staple. It glides on beautifully like a cream product, and I love the champagne-honey tone it has when it reflects." For application, Greene says a liquid is so versatile that it can be applied with a sponge or a brush, depending on how comfortable you are with the tool. He also suggests using your hands or mixing it with creams or other makeup. "I mix it with moisturiser for the face or body—its fantastic," he says. Kathy Genchi of Julien Farel Restore Salon & Spa in New York City agrees. "I love to add a few drops to my foundation or tinted moisturiser. Then, I use a foundation brush and apply to get a dewy, lit-from-within glow." Genchi's go-to is drugstore favourite L'Oréal Paris True Match Liquid Glow Illuminator (£9). "Unlike some watery formulas, this one has a very sheer finish and is the most versatile." Now that you've got all the tricks and tips for a flawless application, these pros shared their favourite hacks to step up your makeup game. "When I’m applying highlighter to the top of the cheekbone, I always bring it a little onto the brow bone and into the eye," says Delaney. "I also like to dab a little highlight right under the iris of the eye on the lower lash line. This small step really opens up the eye." Similarly, Red uses highlighter for an easy summer look. "I skip eye shadow and swipe on highlighter over the lids and up to the brow bone. I blend it out and simply add mascara to finish the look. Voilà!" Severino and Kennedy are all for an MUA staple, Dr. Paw Paw's multipurpose balm, when your favourite highlighter isn't an option. "Use an unpredictable product [like Dr. Paw Paw] the way you would use a cream highlight. There are no rules in the world of makeup—just have fun." says Kennedy. "If you're on the run and want to add a hint of a glow, use Dr. Paw Paw for an instant glow on your cheekbones, eyelids and lips," says Severino. Next, shop the best drugstore highlighters (all £10 or less).